Open the command prompt in administrator mode. Type “cmd” in the Run box, right-click the command prompt icon and choose Run as Administrator (see how). 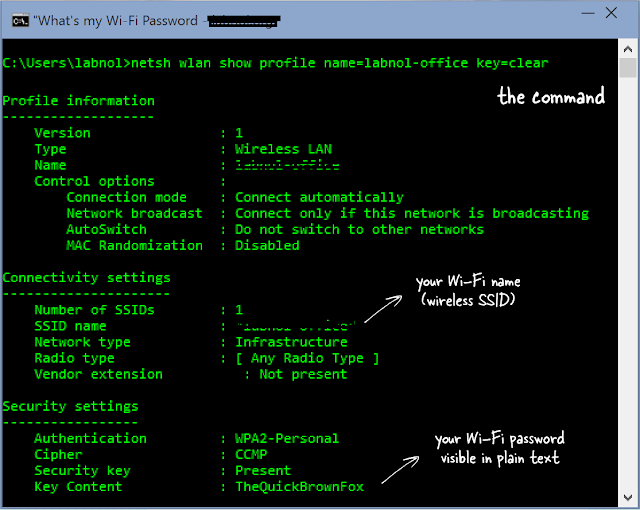 Now enter the following command and hit enter to see the WiFi password. Remember to replace Techclue with the name of your Wireless SSID (this is the name of the Wi-Fi network that you connect your computer to). The password will show up under the Security Setting section (see screenshot). Open Spotlight (Cmd+Space) and type terminal to open the Terminal window. 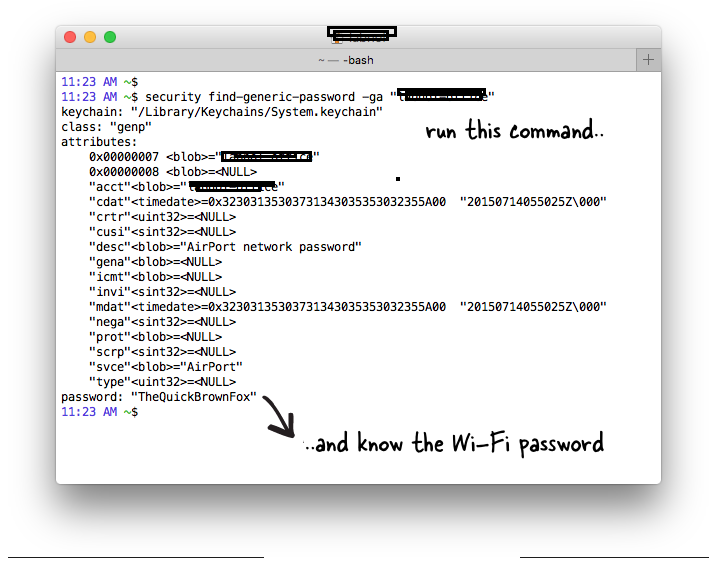 At the command line, enter the following command (replace Techclue with your WiFi name), then enter your Mac username and password to access the OS X keychain and the Wi-FI network password would be displayed on the screen in plain text. This trick for getting Wi-Fi passwords works for Linux too. Substitute Techclue with the wireless name (SSID) of your network. The value of the field psk is your WiFi password. This page definitely has all of the information I wanted about this subject and didn't know who to ask. A knockout post: Top Tips Of Encryption Software & The Pros And Cons Of How To Encrypt A Password For Freeing.